Lessons 1 and 2 in the previous posts covered making tools with sacred wood that included wands and runes. It often takes time to prepare such tools in order for one to imbue their magical energies though the object. At times the object will change as the practitioner progresses through their spiritual journey. Remember that nothing is static, where there is energy there is movement, vibration and frequency, this includes all inanimate objects as well. Lesson 3 will introduce one of the many methods of scrying, divining. Scrying tools are used to develop ones clairvoyance skills. It assists one to see the past in order to understand the present and give some kind of direction for mastering the future. Scrying requires concentration and of course an object to focus your mind. Before you prepare your tool for scrying you may like to make your own scrying incense. Setting the mood by stimulating your senses that also includes your olfactory is important. This all helps to stimulate the penal gland or 3rd eye in order to reach a state of focus, trance or meditation call it what you will. You may even wish to make your own bowl and decorate the bowl with motifs and symbols that correlate to your own belief system. Let your creativity run wild. Just remember that every step of creating whether it is the bowl the incense or the scrying liquid to imbued your own personal energy in it. Take your time in choosing and making your item and allow yourself to connect what it is that you are creating!! In the next step we will be making the divining liquid. This should be made during the full moon to give time for the liquid to infuse sufficiently to be used in the 1st quarter. Please use the reference of the ephemeris of the moon as a guide. Moon phases for all magical use is important. Please take the time to learn the energies that she gives. A simple and wonderful book to have on hand is “Mansions of the Moon for the Green Witch”. I’ll write a little book review of this at a later stage. Dried herbs that include rose petals, jasmine and hyssop. Pour the mixture into a jar, cover, in a sunny spot. Leave it as undisturbed as both the moon and the sunrays energy are hitting it until the last quarter. During the time of the last quarter, strain the herbs and store the liquid in a jar until ready for use in the 1st quarter. Effectively just remember the most powerful time to divine is Seven Days after the New Moon which is the first quarter!!!!! This is the time you use the liquid. It is seven days after the new moon which falls on the first quarter of the moon. I know it doesn’t give you much window to divine, however this is just a guide that has been used by the oracle in ancient times. Create your mood, place your mind in a space of divining. Use your imagination, wear your favorite gown, jewellery, anoint yourself with your favorite essential oil, jasmine is mine. Divining is a scared time, don’t just use it Willie Nillie. Who or what is assisting you with allowing you to see and giving you the messages. Accessing beyond the veil needs preparation, such as placing protection around you, ensuring your mind and surroundings are cleared of clutter and most importantly just like anything become familiar what energy it is that you are drawing this from! Are you calling in the elements, the Gods and Goddesses, other earth spirits, Totems, ancestors, spirits beyond this earth or simply Mother Earth her self? Remember that the energy around you is something that you allow in, nothing comes if it is not called or conjured! If you are not familiar with personal protection, please do a quick Coven Life or general web search on such methods and choose what you resonate with. Yes, this does all sound time consuming, however everything has a time and place. Learning timing and patience is part of understanding your magical practice. 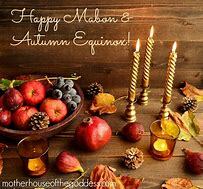 Revering the seasons and following the earth’s rhythms is essential for any spiritual practice and finally learning to protect yourself even if it is just using divination. Once again use your intuition and allow yourself to connect as you please. There is no right or wrong. You choose as you please and what makes you most comfortable! The timing of this suggested method of scrying was taken from an academic extract called “Portrait of a Priestess” by Connelly, that described actual events and practices of the ancient priests and priestess in antiquity namely in the temple of Delphi used by the Pythia. A wonderful academic read, well researched and accredited throughout the epistemological arena it offers an insight of how humans throughout history have moved with the earth’s rhythms. Entrench yourself in the energy and see what you yourself discover. You may even find a better method that suits you. Just remember to be in the flow of that energy around you. Learn how to navigate the sky, read the seasons and feel the pulse of the earth and her energy meridians. This is how humanity has always done and will continue to do it. Why? BECAUSE IT WORKS! I suspect you mean lessons 1 and 2. These lessons are just on making your magical tools. If you would also like to go over these lessons just search for Magical Tools on our Coven Life search. As to what you need to say this is up to you. It depends on your own spiritual path, the reason why you are asking the divine for the gift of sight, and just like any magical working ensure you are familiar with how to create sacred space. This information is also on the Coven Life web search. Remember that this is a magical tool that is connected to the divine through you. Talk to your Goddess, God, spirit guide, spirit animals or what ever it is that you wish to be your protector when you enter through the veil between the 2 worlds. Ask them what it is you are aking their assistance for? How can they help you? Why are you specifically calling for them to assist you? Always remember to ask for their assistance in reverence and gratitude, never demand it. However if you are not familiar with spell work it will be of great benefit to you and your magical workings to learn it correctly.